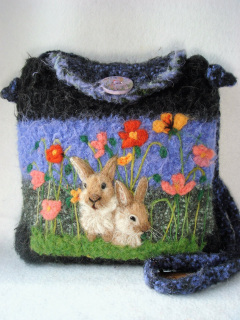 DESCRIPTION: A beautiful meadow of wild flowers highlights this luxurious Alpaca purse of periwinkle and black. 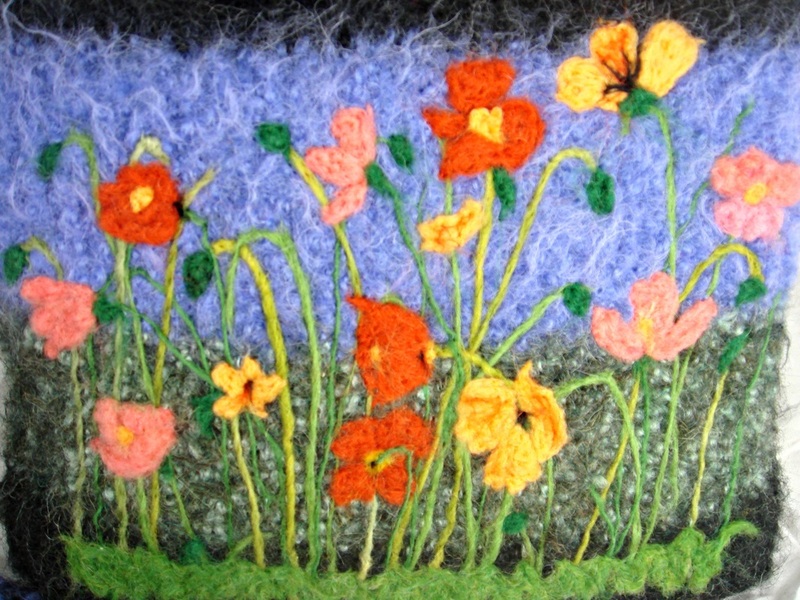 It has been knitted out of 100% baby alpaca yarn!! 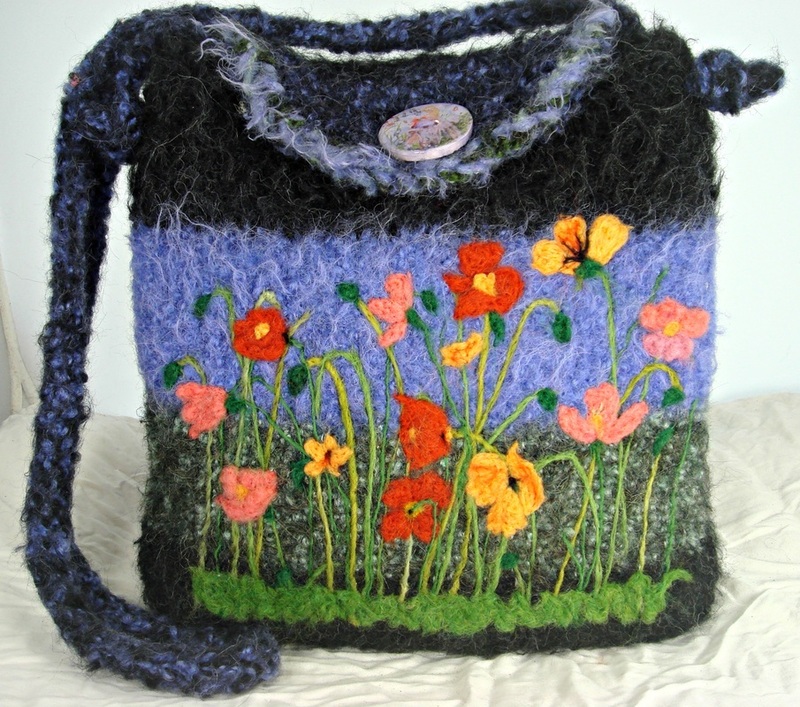 The colors of this bag are vibrant and eye catching. 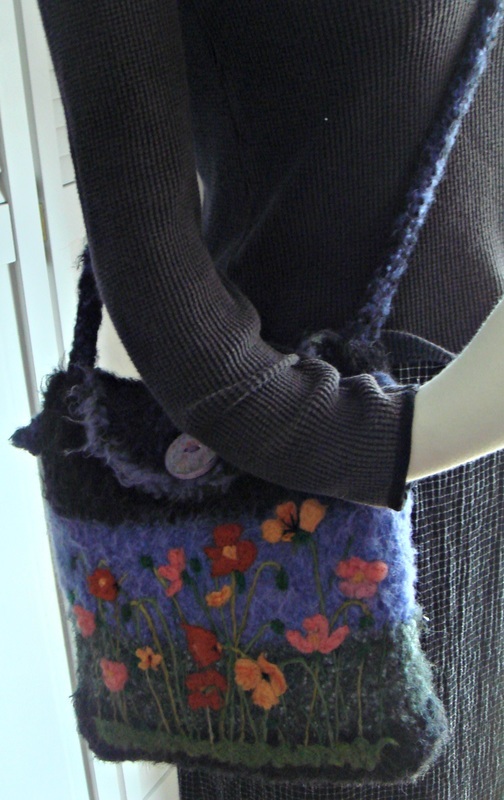 The purse closes with a "fairy garden" ceramic button and has an inside pocket. The measurements are: 11" wide by 11" high by 2" deep. The ADJUSTABLE strap has a 22" drop but can easily be shortened. OAK!